Rainwater harvesting has been practiced for thousands of years. The purpose has always been water security for humans and their crops. Slowly it migrated to decentralized systems where a small community or property will harvest rainwater for drinking and cooking purposes. The advent of municipal water systems removed the need for rainwater harvesting as water was collected from an area hundreds of kilometers away from point of use and supplied in purified form to the user. 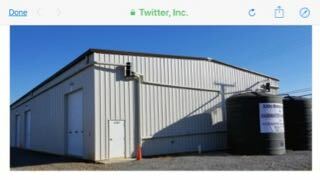 Factors such as drought, old water infrastructure, population growth and concerns for municipal water supplies as well a trend in in green buildings, have contributed to a demand for commercial rainwater harvesting systems. Many projects have been put in place that would capture rainwater, greywater, and other on-site water sources for reuse. Captured water is purified sanitized and pressurized for safe reuse. Big industrial factories simply harvest water and use it in their production process as it does not require to be of potable water standard. A well designed commercial system can save thousands of kiloliters in municipal water every year for the life of the building. Early adopters of rainwater harvesting systems have been small factories, schools and many government building. Unfortunately many projects have been implemented purely to satisfy a green building code rather than to critically look at ways to maximize rainwater harvesting and reducing water consumption. Some of the first projects are always rainwater harvesting systems that will use the water for non potable use. 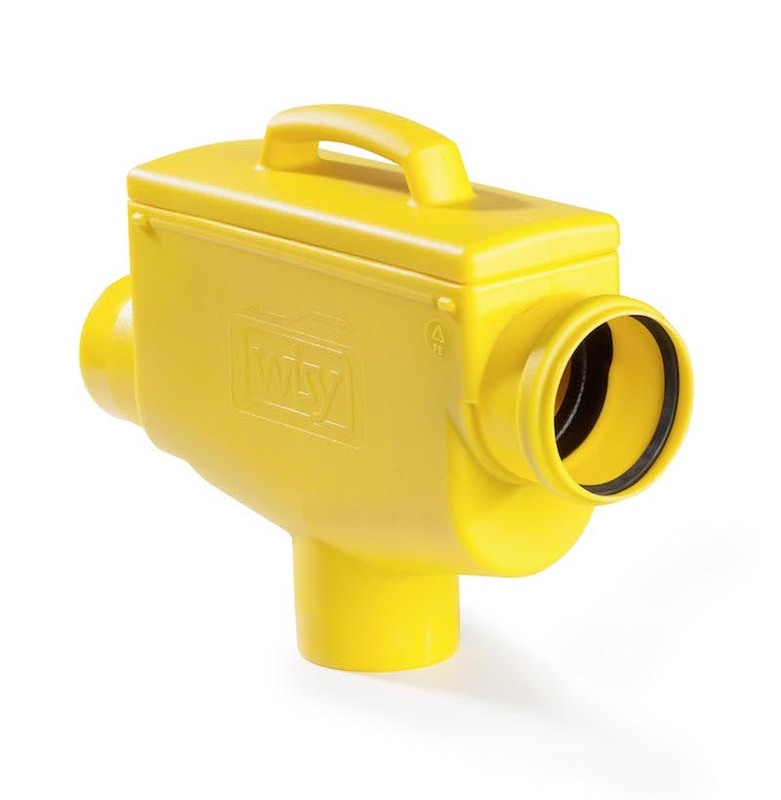 This requires a dual plumbing system in buildings and can be costly to retrofit. It is therefore beneficial to incorporate it into the design of a new building. Companies are also gradually moving away from water intensive gardens and are planting indigenous plants that require less irrigation. Many old rainwater harvesting systems purely focused on replacing municipal water with harvested rainwater to be used in the irrigation systems when water was available. The recent drought in Southern Africa has put the water security agenda back on the table. With municipalities losing between 25% and 40% of their water through ageing infrastructure and poor maintenance many companies are concerned about water security. Any interruption in water supply can have a major impact on productivity and production capability. The biggest challenge and cost in any commercial rainwater harvesting systems is space and cost for storage. 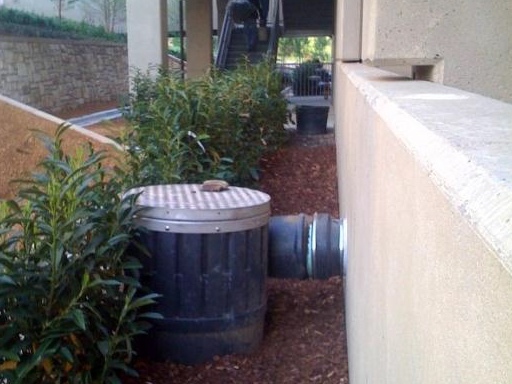 Generally above ground space is at a premium thus all the rainwater tanks need to be installed underground. 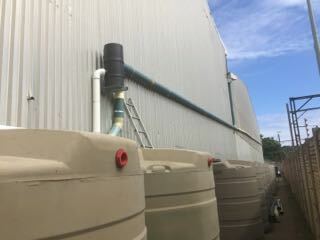 To effectively harvest rainwater the sizing of the storage tanks are critical. It is always better to have more than less storage space as you want to maximize the rainwater recovery when it rains. Thus the tanks, the building and installation cost thereof can be as much as 50% - 60% of the total project cost. 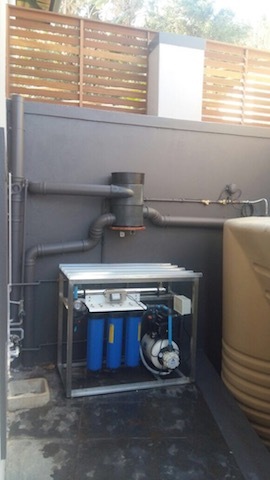 In Southern Africa it is good practice to also use the rainwater tank as a backup water storage tanks and design the system in such a way that the tanks always maintain a certain level of water (municipal or rainwater). Should a water interruption take place the property will thus always have a backup water source for a period of time. Water application and treatment is often overlooked. In a well designed system the quality of rainwater is so good that it can easily be converted into potable water without the use of chemicals. 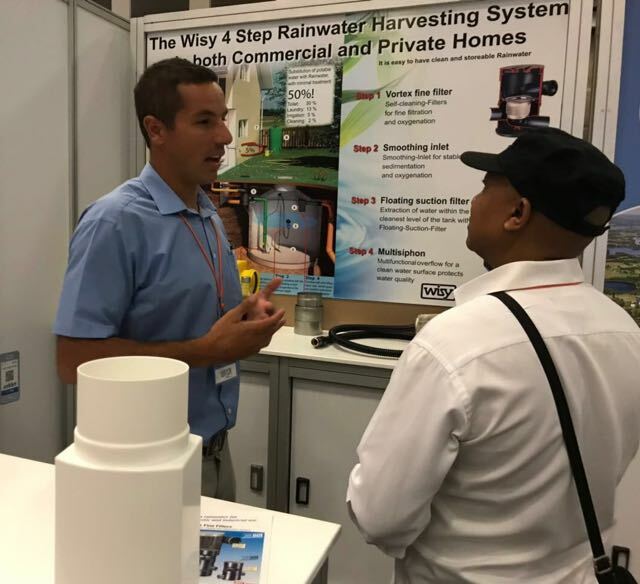 Converting harvested rainwater into potable water circumvents the need for a dual plumbing system and purified rainwater will simply replace municipal water when it is available and vice versa. The need and implementation for commercial rainwater harvesting systems are growing. It is thus very important that companies with experience in the design and instillation of these system are involved at an early stage of a new project. Our experience has shown that these projects have a payback of less than ten years at current water prices. As water becomes more scarce, expensive and supply not reliable the benefits far outweigh the cost.